Authorities in Belgium have confirmed that an undetonated bomb was discovered at the airport where terrorists struck this morning. 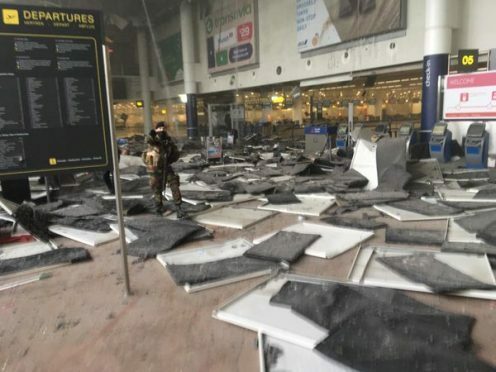 Zaventem Airport, in the Belgian capital, was targeted in the attack, a suicide bomber struck first near the American Airlines desk at the airport, with local media reporting that shots were fired amid shouting in Arabic. A US official claimed a suitcase bomb was also detonated. Authorities have now confirmed that an unexploded suicide belt was discovered in the airport and has now been destroyed. The atrocities, condemned as “blind, violent and cowardly” by Belgian prime minister Charles Michel, came after the arrest last week of terror mastermind Salah Abdeslam, who plotted November’s massacre in the French capital. The terror group Islamic State (IS) has claimed responsibility for the attacks.